The hard working folks that brought us Baconnaise, is giving every bacon lover another thing to smile about. The Bacon Rub ($6) is an all-natural dry rub made from a mix of herbs, spices and brown to infuse all kinds and cuts of meat with the great flavor of bacon. 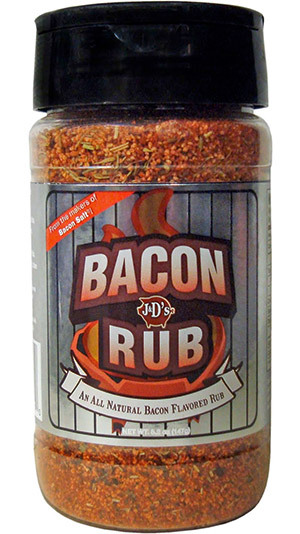 The Bacon Rub is also Kosher, vegetarian-friendly, and surprisingly low-in sodium, so don't be shy and sprinkle this baby generously.